Today, companies providing life insurance coverage tend to have high-level services backed with a robust software system. Modern people don’t want to spare their time on emailing, calling, or visiting their agents. They need clear and user-friendly systems allowing them to get relevant services online. Thus, along with new policies, products, and pricing, companies modernize or build brand new insurtech platforms. In this article, you can learn more about life insurance product development process and its peculiarities. According to AccuQuote, there are two types of life insurance products: term and permanent. Both types come in different subtypes to satisfy different needs. Permanent type is aimed to provide coverage for as long as you need. 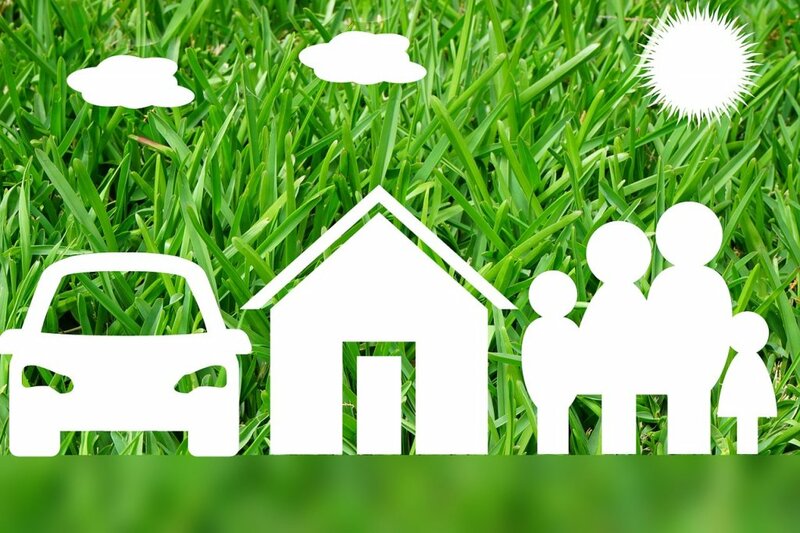 There are many kinds of permanent life insurance but the key categories include whole life and universal life. Term life insurance is temporary insurance which may last for 10-30 years, typically. It can provide coverage for the only limited period of time. The policies are quite clear and, usually, cheap. Insurance companies, as a rule, guarantee that each year you will pay the same cost for your coverage. The rates may vary from $25 to $200 per month. Once your term comes to an end, you will get a notice about the increased costs for life insurance. When comparing two types of insurance, we may admit that universal life and whole life cost more than temporary insurance. Unlike term, permanent insurance lasts forever. As long as you pay your premiums, your family members are guaranteed to get the death benefit, no matter when you die. Permanent insurance provides cash value which may be accessed at any time for any reason. As insurance agencies strive to become more flexible to meet ever-changing market demand and conditions, they constantly look for innovation and ways to improve their products. In terms of better services and products, these companies, usually, choose two ways. Firstly, they can provide better services and products for their customers with the help of new software. Secondly, they can design new types of insurance products. 35-45 years old clients - growing income and/or family - on this stage, people usually need insurance for business planning purposes like buying/selling, deferred compensation, business succession, etc. It also comprises tax-advanced strategies, private placement life insurance, and access to an increase in policy cash value, etc. 45-55 years old clients - estate/retirement planning includes retirement planning strategies, whole life, supplemental retirement stream, asset, and creditor protection. 55-64 years old clients - highest earnings/taxes - charitable giving, planned giving, charitable lead trust. 65+ years old clients - estate planning - estate equalization, liquidity to offset, special needs children planning. Check out the related blog post about banking software development. If you own an insurance agency or deal with CEOs, you probably know that there are two types of software - prepackaged and custom-designed. The former type is usually built for sale to any company to serve a great number of users. The latter type is typically built specially for one single company that needs a completely customizable solution. Unlike custom software, prepackaged systems cannot be as customized individually as bespoke systems. The privilege of bespoke software is in its unique set of features and functionalities that face users’ needs and requirements. When you create a system from scratch, you can get as many features as you need. And what is more important - you can get only those features your users need. Let’s take a closer look at the core features your life insurance software should have. This feature is aimed to provide a definition of new products, edit and modify the existing definition, store and transfer product’s data. This feature is designed to manage the group or individual policies. It provides capabilities to register applications, assess risks, present information, modify insurance conditions, handle claims, etc. This feature ensures automatic reports/orders generation. It also offers the following options: accounts management, operations, and orders handling, fund registries, etc. This feature is designed to categorize different events (taxable/non-taxable). It offers reminders of premium underpayment or nonpayment, cash flow management, and other important options. The solution is extra user-friendly as it provides all the initial wants and needs of all the stakeholders. Insubiz is easily implemented, provides fast support and regular updates. As you can see, bespoke platforms are able to ensure more functionalities and more options for their users as compared with the prepackaged ones. With a well-built system in place, you can enhance customer service and support, manage Big Data, and create large client databases. Custom-designed software is also able to automate data processing, sharing, and analyzing. Automation allows eliminating human errors and making insurance processes more efficient and streamlined. All the information is kept in one system and easily accessible. We can mention a lot of other advantages of insurtech solutions, however, you can read about an overall view of the insurance product development topic in our latest article. If you made up your mind to develop a custom system for managing your life insurance products, you should know how to build it from scratch. In our development best practices, we follow seven basic steps. 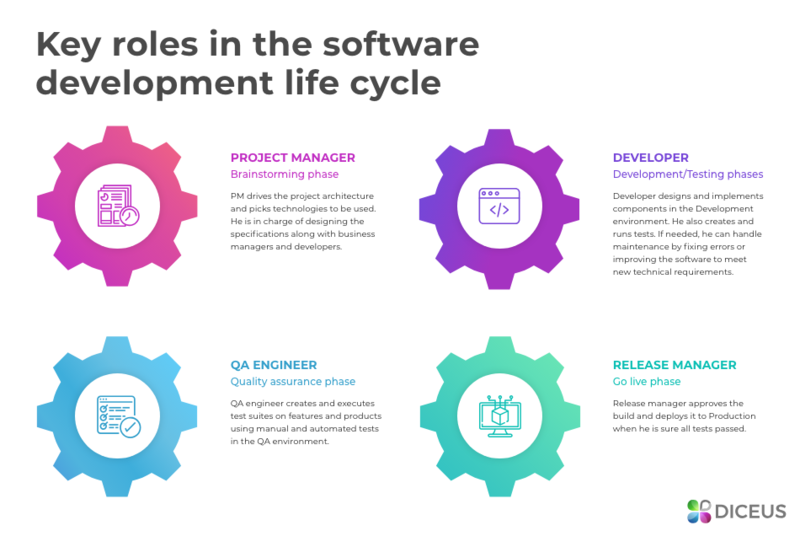 Here is more information about software development phases. During the first stage of SDLC, a team must gather all the initial requirements and come up with innovative ideas. This analysis is performed by senior team members having extensive experience in creating similar products in a given industry. Once all the details are collected, the team can proceed to planning and feasibility analysis. During the second stage of SDLC, all the stakeholders should undertake a feasibility analysis. In-depth research can demonstrate how profitable a project could be. It also incorporates all the factors affecting development. These factors include technical and economic risks. As a result of the feasibility analysis, all the team members should present their estimations regarding time, costs, and resources needed to accomplish the project. Basing on initial requirements, the team writes a detailed SRS documentation (software requirements and specifications). It serves a basis for the product architecture and is usually tightly connected with design document specification (DDS). It is based on various parameters as risk assessment, product robustness, design modularity, budget and time constraints, the best design approach is selected for the product. A design approach clearly defines all the architectural modules of the product along with its communication and data flow representation with the external and third-party modules. During this stage of SDLC, developers write code according to DDS. The team follows the coding guidelines defined beforehand. The tools and programming languages, which actually make up the technology stack, are also selected in advance. The objective of this phase is to perform system integration testing and get ensured that the developed systems meet all the requirements with the components and subsystems integrated. The system test may require any number of additional tests depending on the scope and complexity of the requirements; examples include security, conformance, accessibility, performance, stress, compatibility, and regression tests. This stage is usually a subset of all the stages of SDLC. However, it refers to the testing only stage of the product where product defects are reported, tracked, fixed and retested, until the product reaches the quality standards defined in the SRS. In the software development life cycle, a release is a final stage. It’s all about launching a new product for a target audience on a specific market. Sometimes, it can be a beta version of the product or an MVP. With the help of key features going live, developers can evaluate performance and get some valuable feedback from the first users of the product. Learn more about offshore software development benefits. At first glance, it seems that a seven-step process is very simple. Keep in mind though that dedicated developers put a lot of efforts into the development process, especially if projects are long-term. Of course, you can buy an off-the-shelf product with a ready set of features. However, if you need a customizable solution, consider custom design. Besides, anybody in need of life insurance product can choose between in-house development and outsourcing. Let’s compare these alternatives. If you are interested in hiring a dedicated team, learn more about outsourcing to Ukraine. Insurance companies include broad market leaders, niche leaders, low-cost leaders in the market, and moreover, there are those who have no clearly defined strategies. According to the Society of Actuaries, the most prolific companies were those which completed their product development efforts in 2014. The research also shows that the fastest companies were those having the shortest product development time, from generating the idea until launching the product. Develop a product and pricing. Surely, product development is one of the most time-consuming steps. This process includes idea generation, product feasibility, underwriting guidelines, product planning, and design, pricing, reinsurance, state filings, marketing campaign planning, etc. Once, you complete all these steps, you’ll be able to go live with your insurance product. In this article, we offered responses to some of the most frequent questions about life and medical insurance product development process. You know what types of products are offered in the market, what types of software insurance agencies use, what features are crucial to have. Yet, if you need to get more detailed information about how to improve your existing systems, or modernize legacy software, we are here to help you. Moreover, our dedicated team has a strong background in creating sophisticated insurtech solutions from scratch.